“云端计算” 'cloud computing'-外国语论坛-服务器里的北京-老北京网 - BY Old BeiJing! 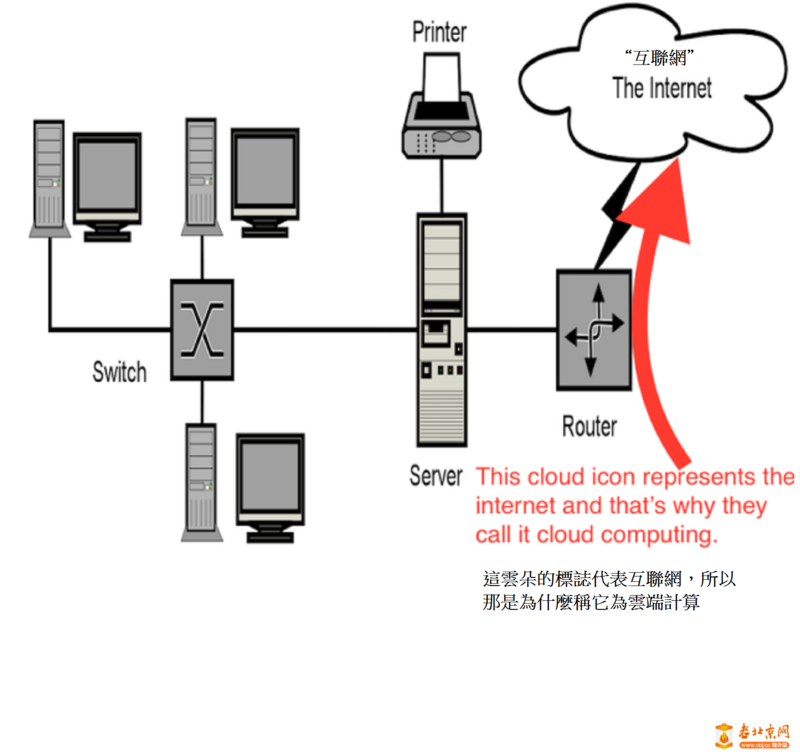 Cloud computing doesn't really come from the sky. Much of it is actually delivered via underground and underseacables. It's called 'cloud computing' because when engineers diagram their corporate networks, the symbol that represents the "internet" is a cloud. The cloud was used as a symbol because it represents a fuzzy area outside of the control of the company's IT people. The internet is like the "vast beyond" to them. Cloud computing is when companies rent and share computers, storage and apps that are owned by a tech company (Amazon, Microsoft, Google, Salesforce) in another location, and are accessed over the internet, i.e. accessed over the"cloud" part of the diagram. 楼主讲得好，老夫子解释的更通俗易懂。谢谢了。有水平！, s% r. y! ` [0 ? GMT+8, 2019-4-22 04:20 , Processed in 0.055433 second(s), 23 queries , Gzip On.